Intrigue Las Vegas features a stunning central waterfall, which serves as the elaborate backdrop to the dance floor and VIP Tables. “Intrigue Me Wednesdays” is Intrigue Las Vegas’ weekly industry party and the most popular night to attend. Girls on the Intrigue guest list get tickets for free champagne and vodka on Wednesdays. In addition, Intrigue features an even ratio list on Wednesdays, Fridays, and Saturdays. The dress code at Intrigue Las Vegas is like most high end Vegas nightclubs, but a bit more formal. 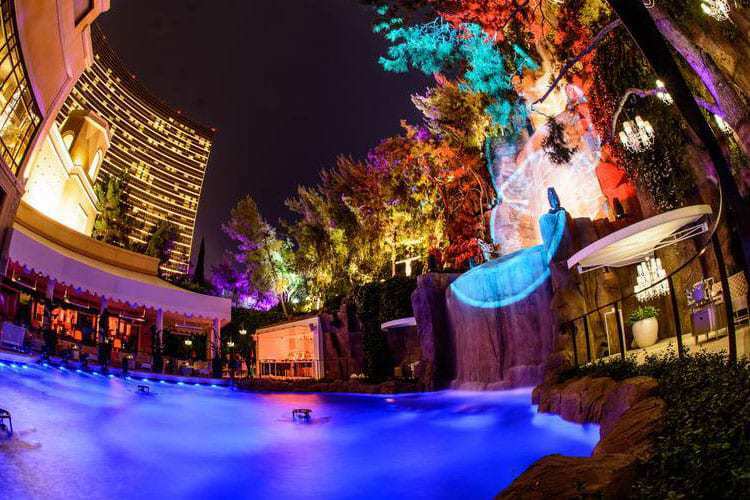 Located in the Wynn hotel, home to the most opulent gamblers and partygoers, Intrigue is an upscale environment. For girls, stick to dressy and leave the jeans and casual tops at home. Flats and wedges are fine, but heels are strongly recommended. Feel free to rock the neckband and jewelry, as Intrigue Las Vegas can be like a gala. For guys, the Intrigue Las Vegas dress code is standard procedure: stick to button ups and collared shirts. Slacks or jeans are fine. Stick with dress shoes – no sneakers allowed unless all black. What is the music like at Intrigue Las Vegas? Intrigue features mostly hip hop and top40, but is considered an “open format” venue where all music is played. 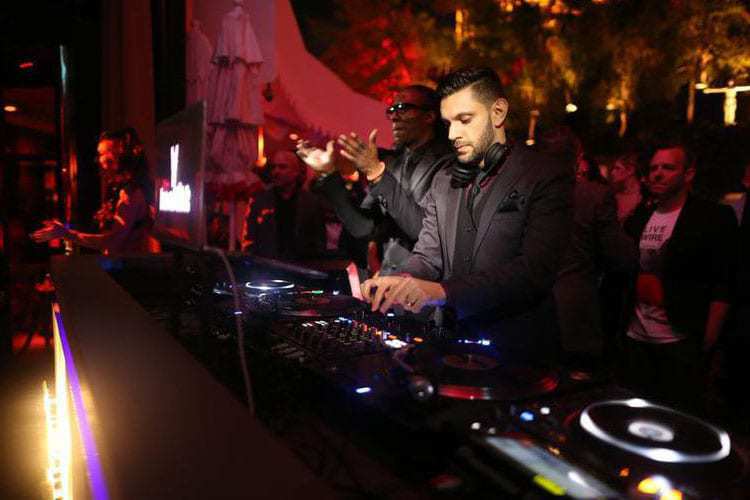 Intrigue features some of the best SKAM artist hip hop DJs – DJ Konflikt, DJ Five, Eric D-Lux – but also occasionally hosts talent signed by the Wynn at their other clubs like XS and Encore Beach Club. These include Marshmello, Tommy Trash, and R.L. Grime among others. What is the crowd like at Intrigue Las Vegas? Intrigue is the main nightclub at the Wynn, attracting the wealthy party clientele of the hotel. The crowd is best described as middle-aged and classy, although there is a decent showing of younger Vegas party people as well. 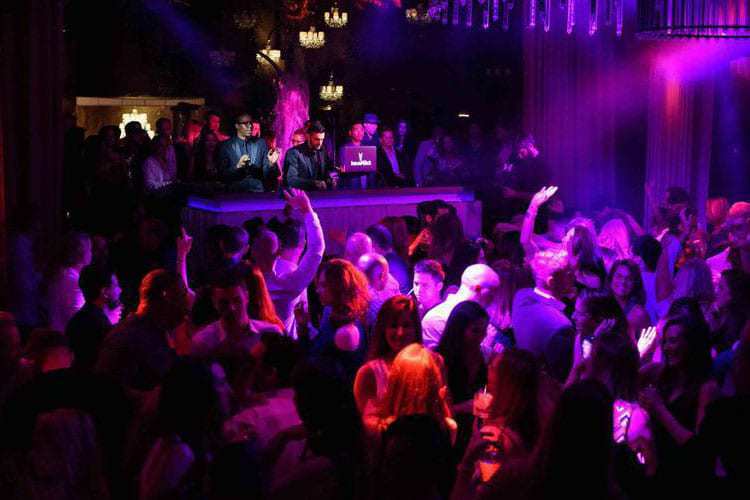 The venue offers a traditionally high energy Vegas club experience but with an elegant and refined twist. What do drinks cost at Intrigue? Drinks at Intrigue can be slightly higher than average, due to its upscale location in the Wynn. Mixed drinks start at $16, shots at $10, and beers at $8. Pro tip: Girls on the guest list get vouchers for free vodka and champagne on industry Wednesdays at Intrigue. 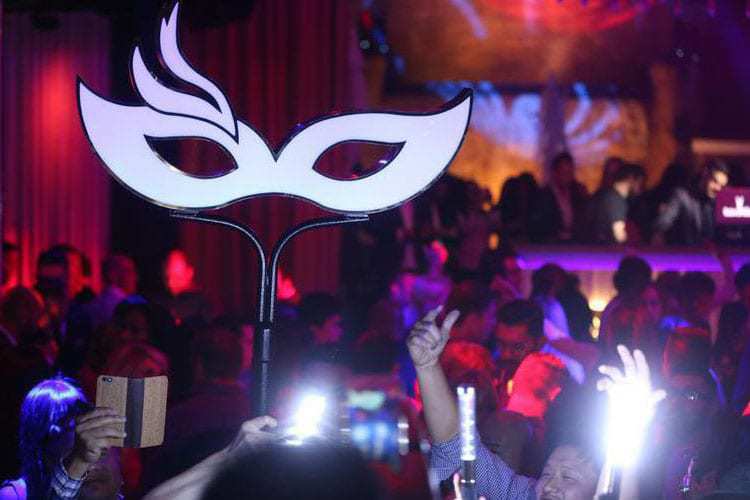 Intrigue Las Vegas is the newest nightclub on the strip, replacing the long standing Tryst nightclub in the Wynn hotel. The club opened in May of 2016, featuring a renovated version of the beautiful central waterfall that crowned Tryst. An aura of class and exclusivity surrounds the venue, and the launch marketing for the club and recent media coverage emphasizes this elegant mystique. 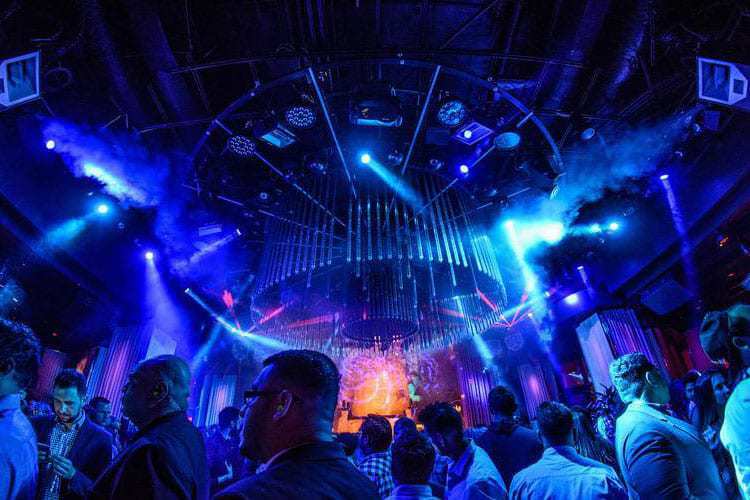 The grand opening of Intrigue was a highly anticipated event in Las Vegas. 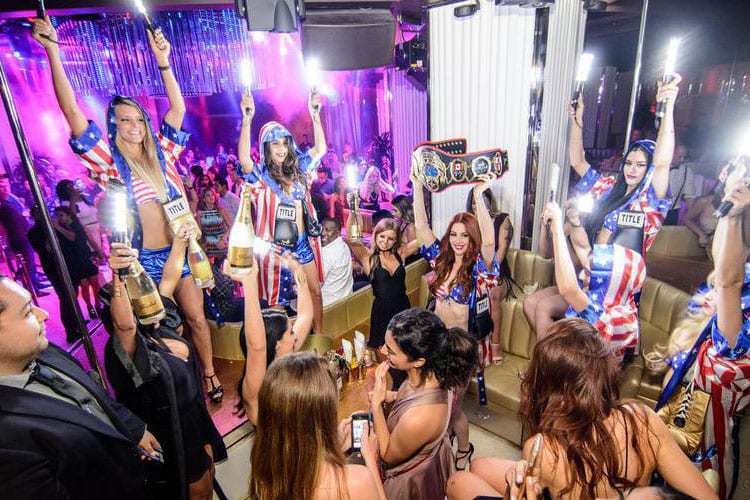 Not only did all the most well-known Vegas hosts, promoters, and nightlife staff come in to support, but major celebrities made it a point to make an appearance. Major artists Ne-Yo and One Direction, public figures Tyra Banks and Kate Hudson, and world-renowned celebrities Leonardo DiCaprio and Rihanna all had reserved VIP tables on opening night. 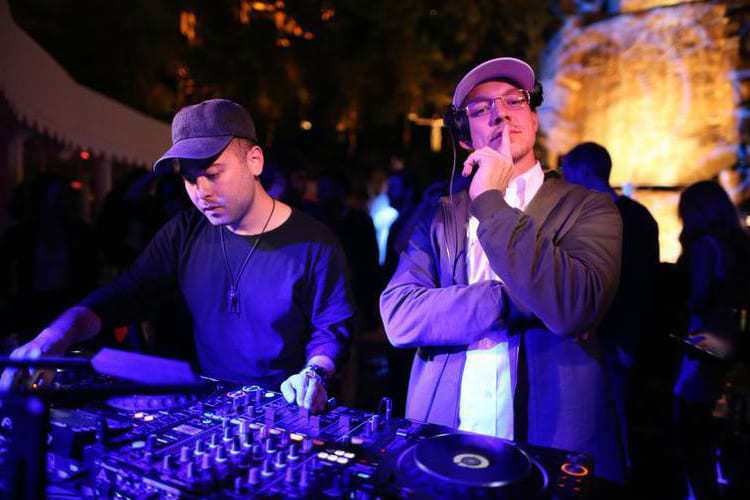 Diplo showed up around 2am and staged a surprise DJ set which lasted until 4:30am that morning. 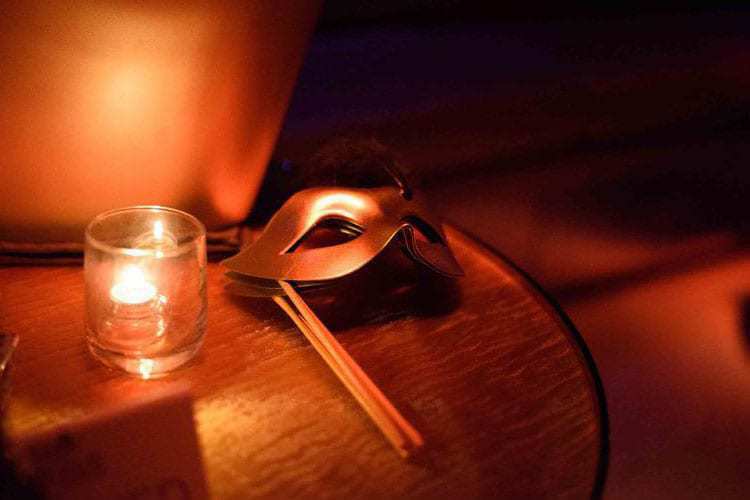 Intrigue offers a free even ratio guest list each night they are open, making it a great choice for a mixed group on a small budget. Girls get free drinks on the guest list on industry Wednesdays, which is the night we recommend coming to fully experience the venue. “Intrigue Me Wednesdays” is the night the venue shines. Intrigue also provides over 50 VIP tables circling the waterfall and lining the room. We recommend going this route if you have the budget, and planning ahead by contacting us early so we can make sure to get you the best deal. Intrigue also does specials for bachelorette and birthday parties, making it a great choice for your celebration.